Wouldn’t it be nice if dogs just got up and went to the bathroom like humans do? 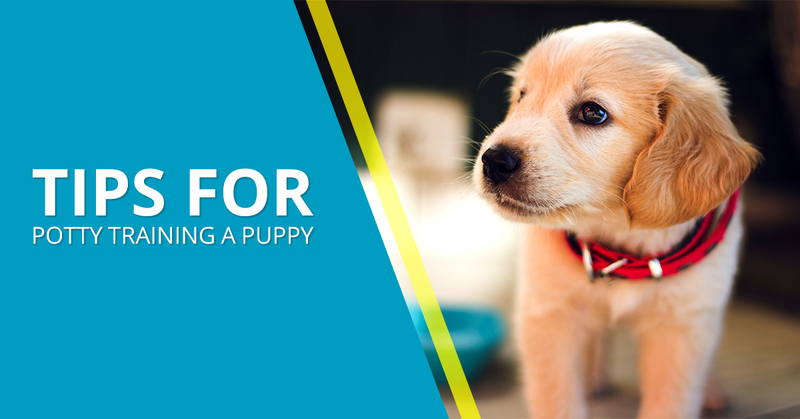 Although puppies are adorable, it can be frustrating to train them to not do their business inside in addition to the slew of other things you’ll need to teach them, like staying off of the furniture and not chewing on everything they see. In this blog, we’re going to focus on a few helpful tips to help you potty train your puppy quicker so you don’t have to clean your home so much. If you have any questions, be sure to speak with our waste management experts at Crown Products. Although most dog owners don’t like to leave their dogs in a crate for long periods of time (and rightfully so), crates can be a great tool for potty training your dog. You may think of dogs as rather messy creatures in comparison to cats who clean themselves daily. However, dogs can often be just as grossed out by their own waste as we are, especially when it’s in their personal space. Crates will encourage your dog to let you know when they need to go out because they don’t want to mess up their own living space. The trick is to avoid getting a crate that’s too large. If it’s too big, the dog may just leave their waste in the corner and sleep in the other. Another important part of potty training a dog is to have a predictable schedule that you keep up with. This means feeding your dog the same amount of food at the same time every day, as well as letting them out at the same times. This way, your pup will know exactly what to expect and you won’t be left questioning whether they’ve got their potty break recently. Potty training a puppy isn’t all about teaching the puppy; it’s also about teaching you. As their owner, you need to be able to recognize when your puppy needs to go out. Some puppies will make a lot of noise or scratch at the door of their crate when they need to go out while others won’t do much of anything. Ultimately, when you’re house training a puppy, you’re going to need to be patient. Think of it this way: your parents had to change your diapers for many months until you were potty trained, so you’ll have to do the same for your puppy and children. Crown Products offers a variety of cleaning products to make your life a little easier. Believe it or not, even when a puppy does their business outside, the waste can be left to linger killing the grass and stinking up your yard. Luckily, we offer pet waste disposal bags that make it easy to pick up their waste and throw it out without the hassle of using a pooper scooper. View our full line of products to learn more.